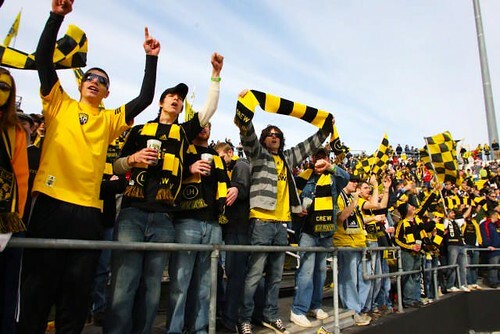 It’s Black & Gold Week in Columbus, and Columbus Crew team members and fans’ have been getting pumped up for First Kick 2012 – the Crew’s home opener against the Montreal Impact on Saturday at Crew Stadium. 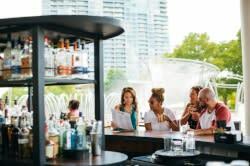 Any Crew game guarantees a fun time, but the atmosphere at First Kick is a must-experience for sports enthusiasts. There’s just something about the celebration of the season’s start at the team’s home stadium that creates extra excitement. Highlights of the First Kick festivities will include a pre-game Yellow Light Maybe concert on the Plaza stage as well as a Crew scarf giveaway. And, because First Kick also marks the start of the Crew’s commemoration of Columbus’ Bicentennial, and you can get tickets to the game for just $20.12 when you use the promo code: Massive. You can start the celebration a little early, too. There are still three Black & Gold Week activities left for fans to take part in tomorrow. 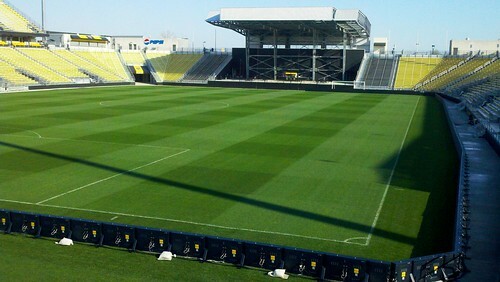 Crew goalkeeper William Hesmer will be on thecrew.com for an online chat with fans at 1:30 p.m. The Crew Union is hosting their sixth annual Crew Union Crewsmas Eve Party at Fourth Street Bar and Grill starting at 6 p.m. And, there’s the Crew Pub Crawl, which starts at Kildare’s Irish Pub at 6:15 p.m.
Get tickets, Black & Gold Week and First Kick details here . Those who’ve been, tell us your tips for experiencing First Kick in the comments.